This was the day we had all been waiting for. At 2.20 am we left Harju for Edinburgh. The bus was so big that every girl got two seats. On the way to Helsinki-Vantaa Airport, we had a little break in Heinola. By the time we got to the airport we were all very tired. The first group left for Edinburgh at 9.30 am and the rest of us girls flew first to Stockholm and from there to Edinburgh. Those of us who were in the first group had to wait at the airport in Edinburgh. It was terrible, we were so tired and it was so hard to try to be awake. After the second group arrived, we took a bus to the centre, got our accommodation at Stay Edinburgh City Apartments and rested there for a while. 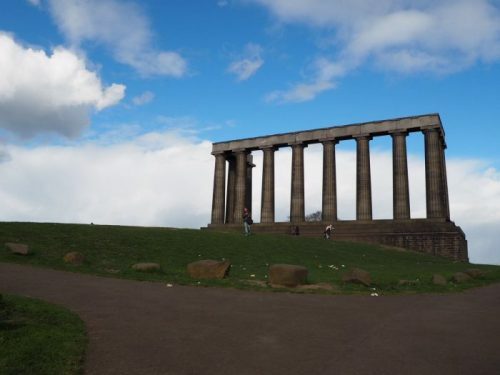 In the afternoon we left for the beautiful Calton Hill. It was really windy there but it was so much fun and we took a lot of pictures. 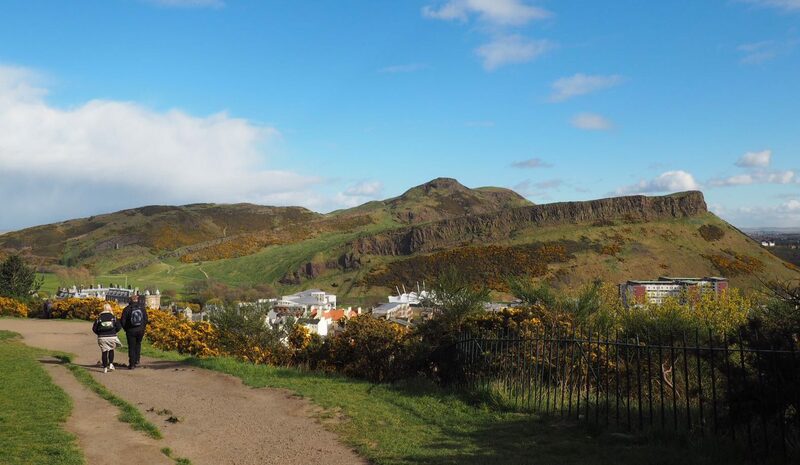 There were such beautiful landscapes and we saw the whole of Edinburgh from the top of the hill, including the Edinburgh Castle and the highest point of the hills, called Arthur’s Seat. 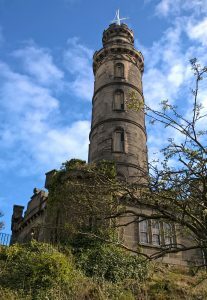 On Calton Hill there are also two famous monuments; National Monument of Scotland and the Nelson Monument. On the way to the Hill we stopped at this little Tourist Information Centre and shop to buy something for breakfst. One thing that was a little bit weird was that Edinburgh had very few large grocery stores. In the corner of the Royal Mile there were a couple of shops where we could buy some fruit, yoghurt etc. but they were very small. 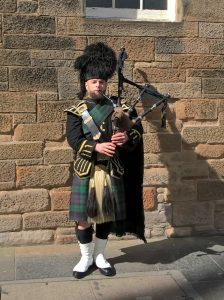 On the Royal Mile, which is the main street of old Edinburgh, there were, however, some bagpipers (and they were there every single day, from morning to evening). Later that evening we gathered together again to the biggest one of the apartments to hear some presentations the students had prepared beforehand. 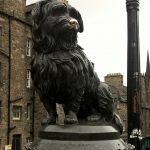 After that we went on a tour to The Real Mary King´s Close. 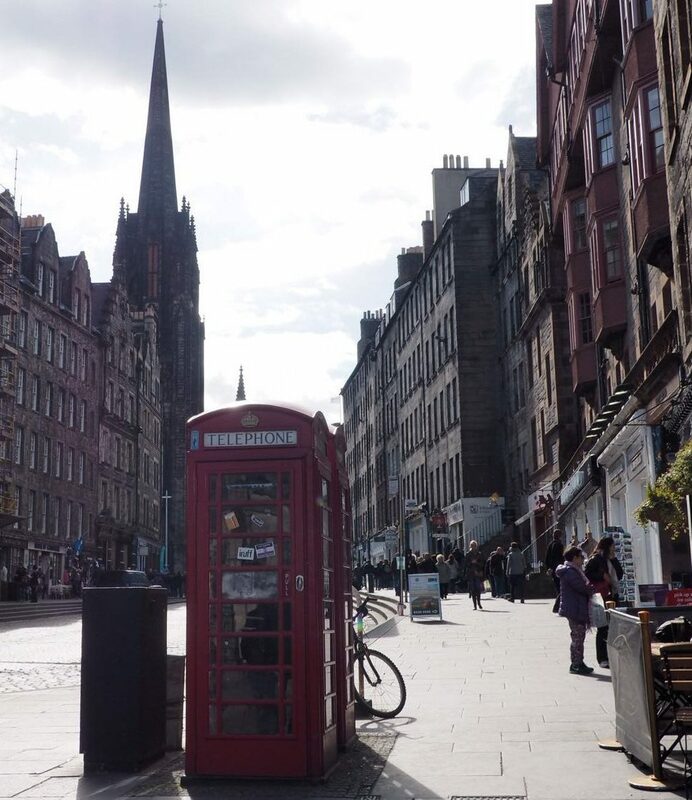 It is a side-street of the Royal Mile, which is completely underground. It was very interesting and the tour guide was very good and fun to listen to. There were a lot of different rooms and we heard eg. about the plaque. After that some of us went to have dinner while the others got back to their apartments and went to bed. 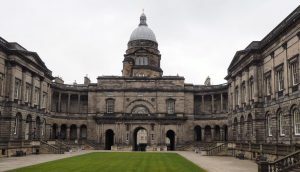 We woke up at about 8 and then at 9.30 we left for the University of Edinburgh. At first some guy gave a presentation of the system of the University for us. 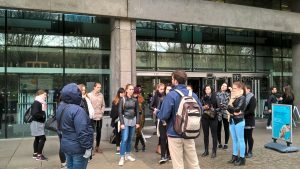 After that we had a guided tour at the George Square main campus with an American post-graduate student. He showed us different houses and faculties so we were also outside. At noon we had time for lunch and shopping. On Princes Street there were all the best shops like Urban Outfitters, Primark and Topshop. We had to be at the Scottish Parliament at 2pm so we had to run there from the centre. We were almost late. The building was impressive and quite new but, unfortunately, photography was forbidden. We didn’t see any Members of Scottish Parliament either because there was a new election coming up May 6th. The Scottish Parliament was founded 12th May 1999. There are 129 MSPs, while in Finland we have 200 members of parliament, so the difference is quite big. After the Parliament some girls went to shop again and some went back to the apartments. We were also told to do a small spoken task and interview a few people in the street. These interviews were to be recorded and sent later to the teachers. The evening was free for everyone to have dinner and enjoy themselves. Then we were so tired that we just chilled in the apartment. A little bit before 10 we left for the National Museum of Scotland. The museum was a lot like the British Museum in London, only smaller. 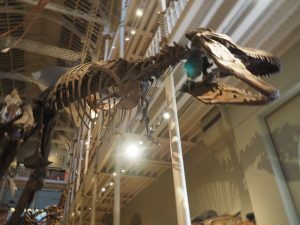 Still, it was quite big and had a lot of interesting things like the skeleton of a T-rex. There were also many other animals and different themes in different parts of the museum. For example, there was a Chinese theme in one room. At the museum everyone was allowed to tour freely, according to their own personal interests. Before going our separate ways, we gathered at the lounge to hear the last of the presentations other students had prepared. After the museum we left for the shops. Yes, again. We are girls, almost all of us love to shop. There was also time for lunch. In the afternoon we visited the Edinburgh Castle. It was so big and beautiful. From the castle we could see over the whole city. There was a guided tour but we wanted to walk around without the guide because it was possible too. 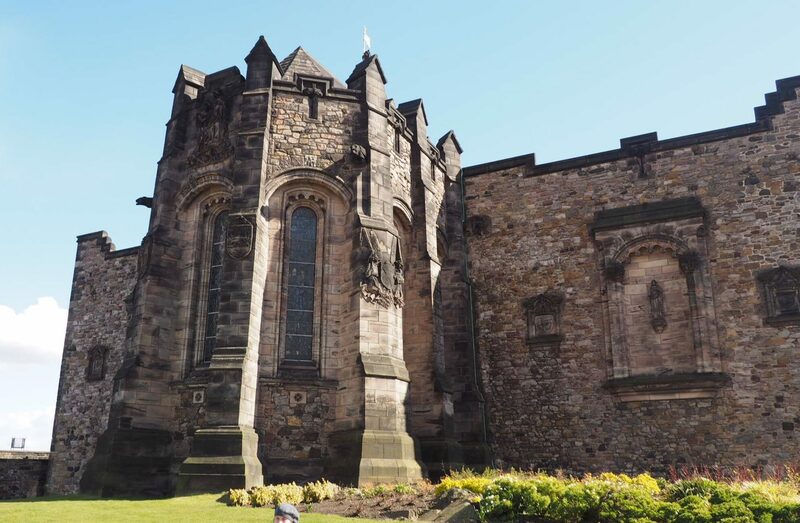 The castle had lots of old stuff like guns, swords, thrones and even the Scottish crown jewels, known as The Honours of Scotland, and the Stone of Destiny, which has sat under the coronation chair of all British monarchs for the past 700 years. At 8 pm eleven of us went to dine together to celebrate the last evening. It was so nice. Later we went back to the apartments to pack our suitcases. We left Edinburgh behind us. The first group left for the airport at 7 o´clock while the others got to sleep a bit more. At Helsinki airport we had almost 4 hours to kill and we went to eat at a restaurant. There happened a little accident and one of us girls didn’t get her food. Finally she, luckily, got her food and even 20% out of its price. After lunch we tried to find sleeping capsules at the airport but we couldn’t. When everyone had finally arrived, a bus took us back to Jyväskylä. We were home a little before midnight. This trip gave us courage to speak English and to travel without parents.